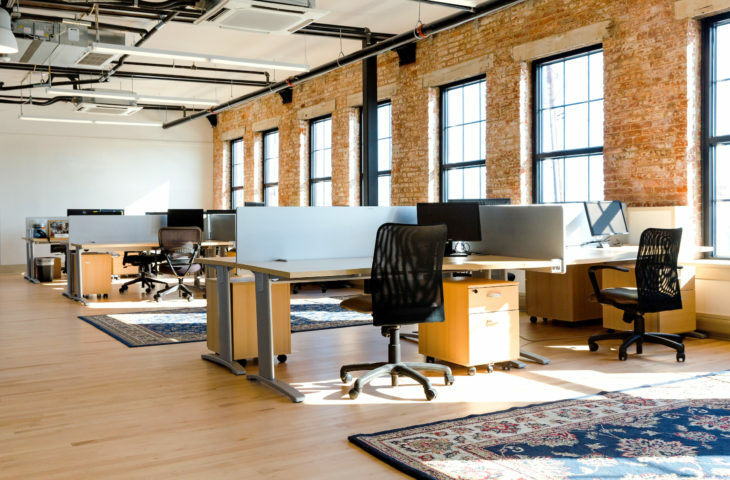 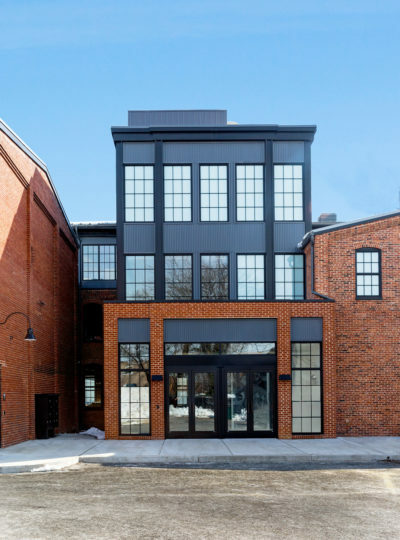 Union Knitting Mills is a 53,000 SF mixed-use project located along Carroll Creek in Frederick, Maryland, incorporating office, retail, and restaurant uses. 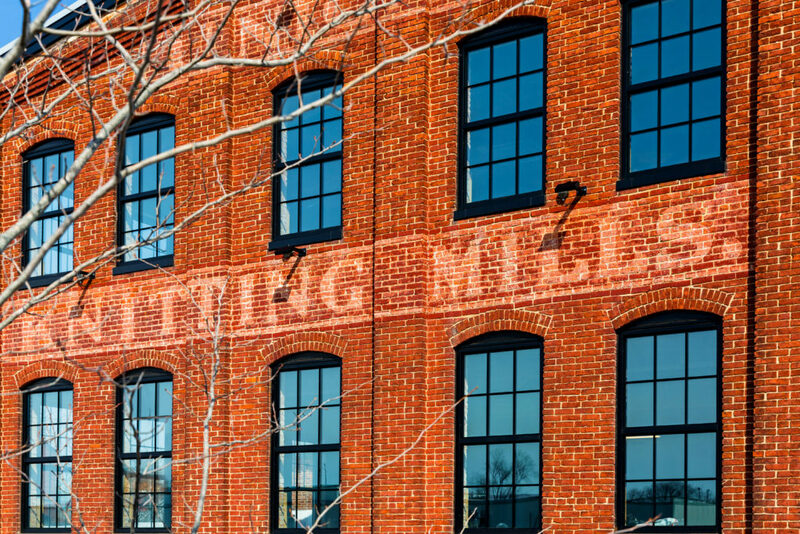 The historic 1-3 story brick structures, built between 1889 and 1925, were the site of the Union Manufacturing Company knitting mill. 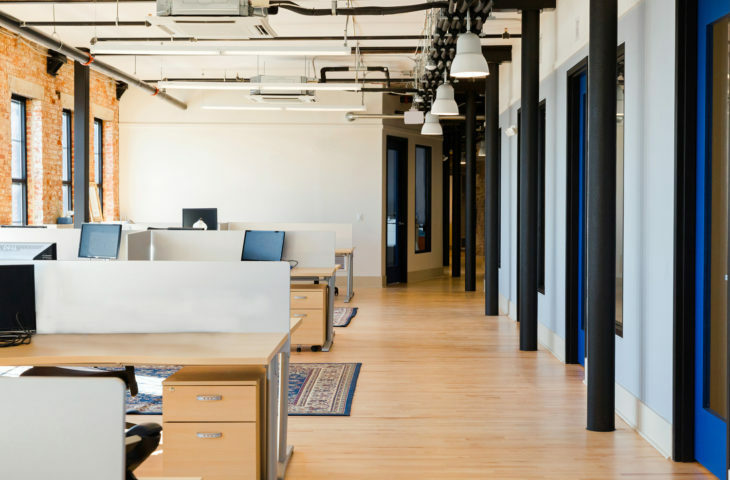 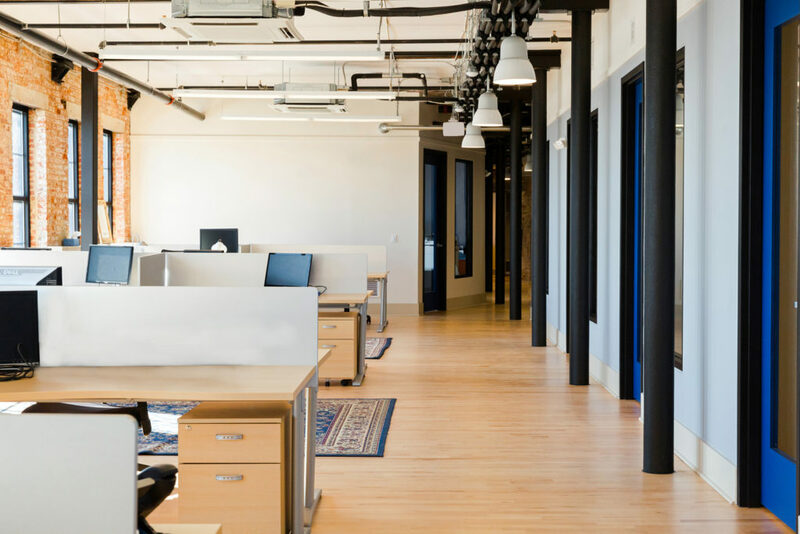 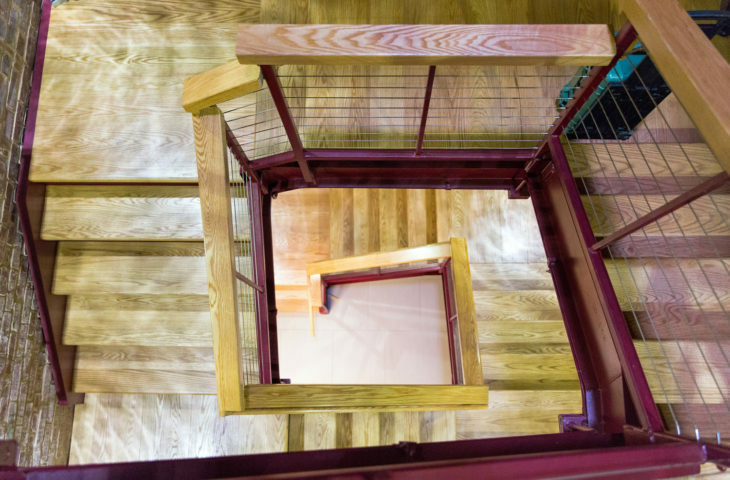 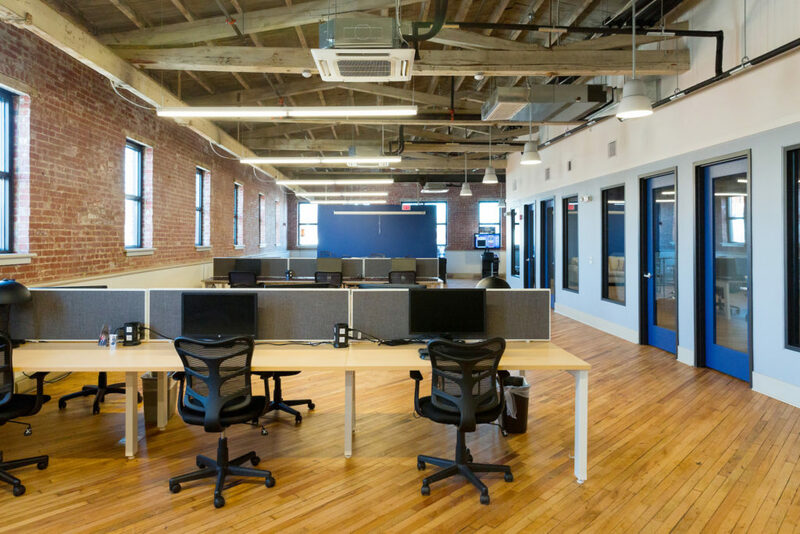 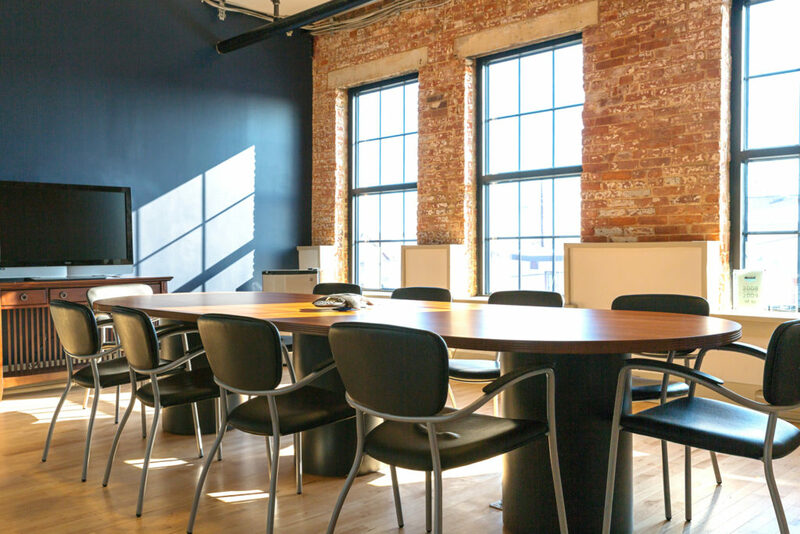 GTM was tasked with the preservation and adaptive re-use of the existing buildings, as well as the design of several additions to create a new building lobby and to replace a previously collapsed portion of the third floor. 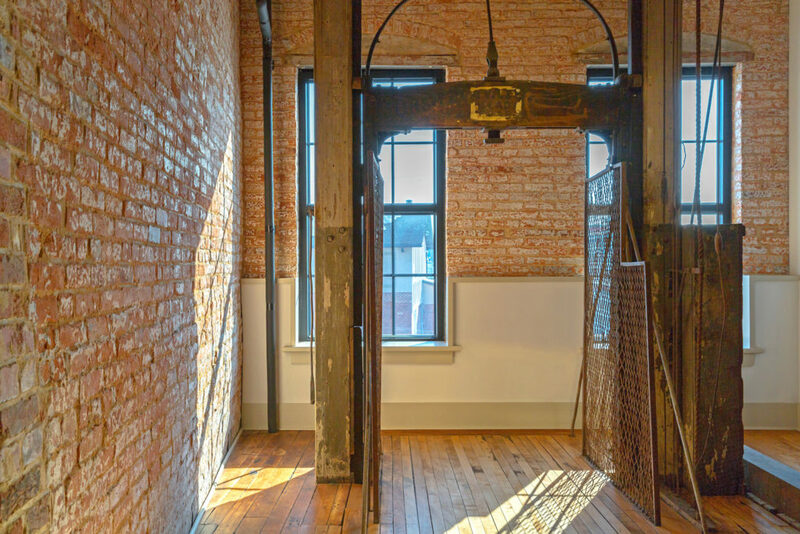 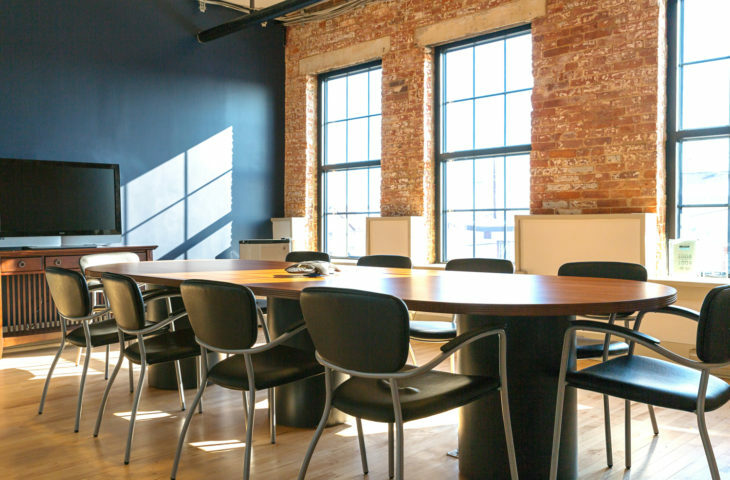 The historic brick detailing and original freight elevators were restored, while new windows and structure were integrated with existing building components. 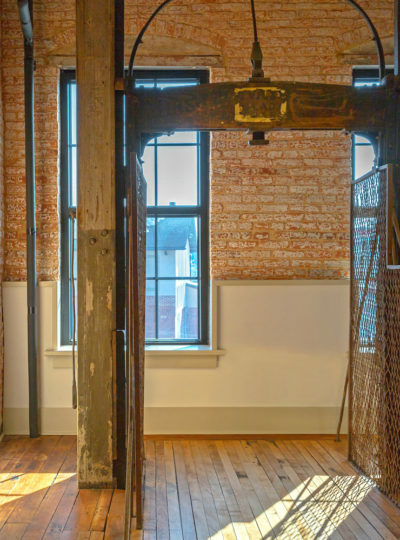 Structural Insulated Panels were utilized to provide much needed thermal protection for the building and also to allow the heavy timber trusses to remain exposed. 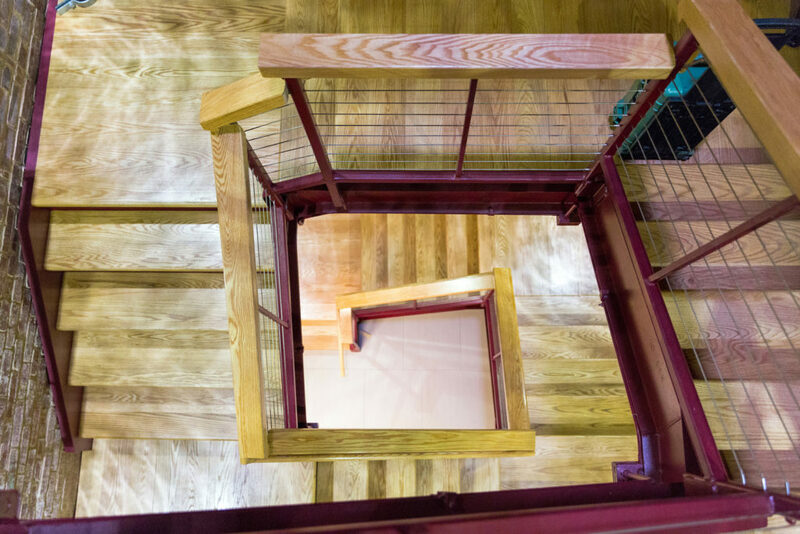 Additions to the building were designed to complement the rhythm, scale, and proportion of the original structures. 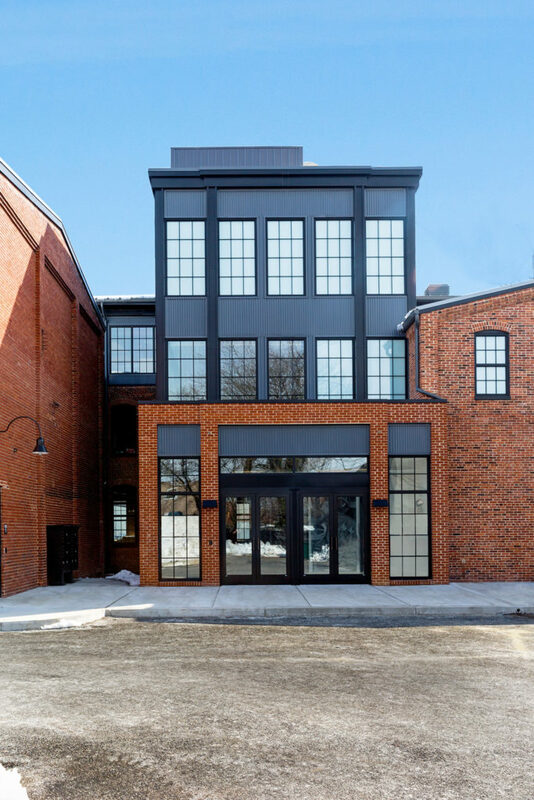 Modern materials were used in cladding the additions to provide contrast from the historic brick facades. 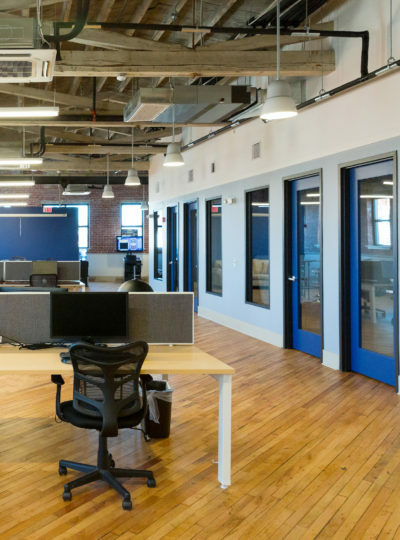 A portion of the available office space within the building was built out to accommodate a software company desiring a unique office environment. 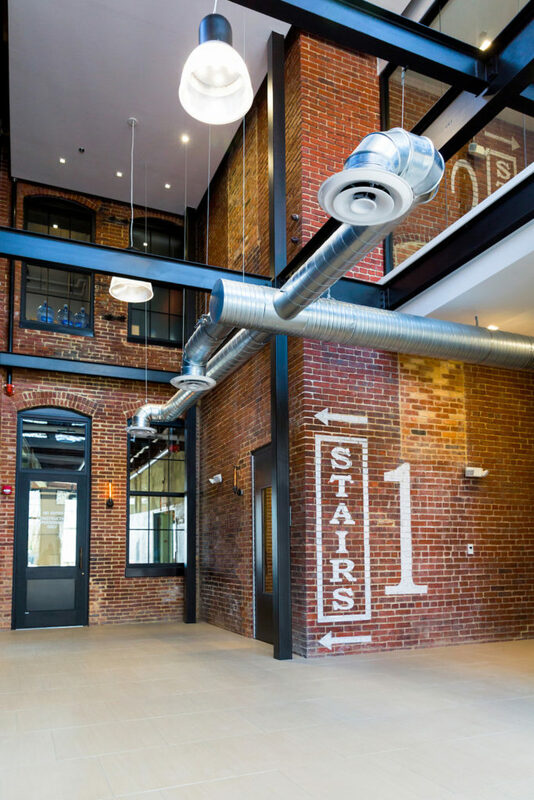 The tenant was looking for an open concept design that blended a contemporary aesthetic with the building’s inherent industrial qualities. 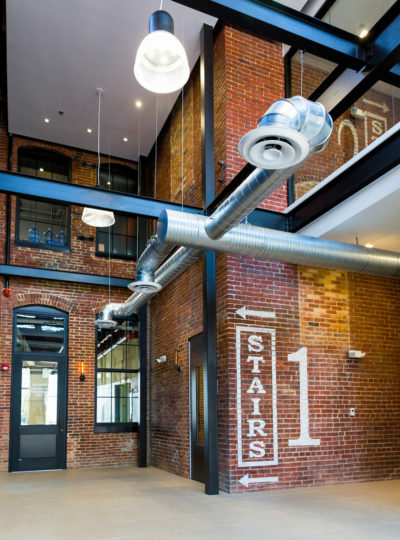 Exposed structure, brick, and ductwork on the interior all provide for a seamless joining of the modern and historic elements.